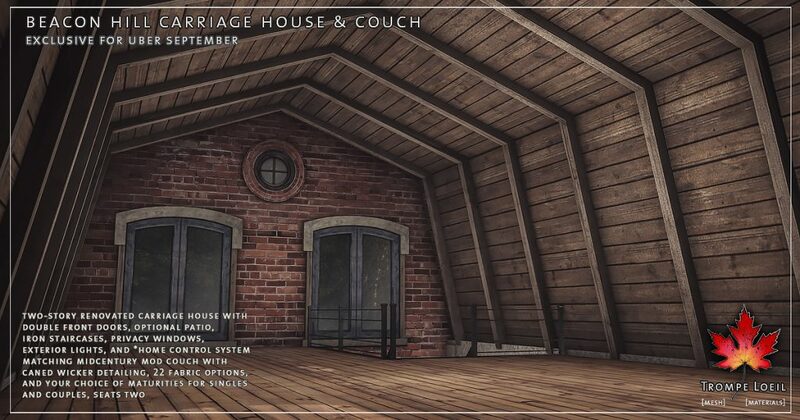 Collegiate style in a renovated brick carriage house blends New England and classic urban for a flexible and fun space to call home – the new Beacon Hill Carriage House and matching Couch at Uber September! 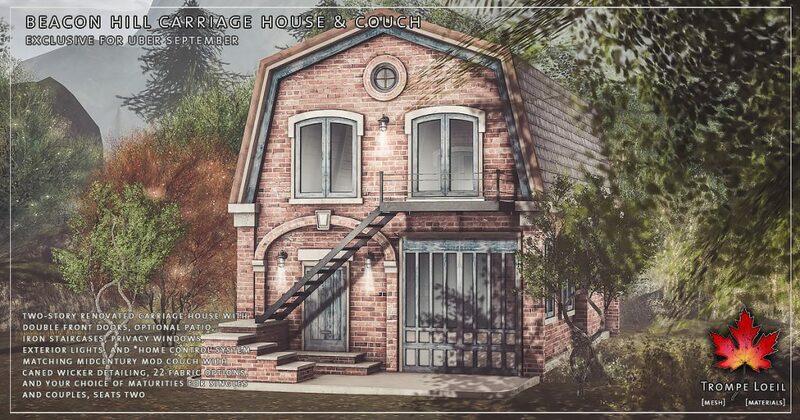 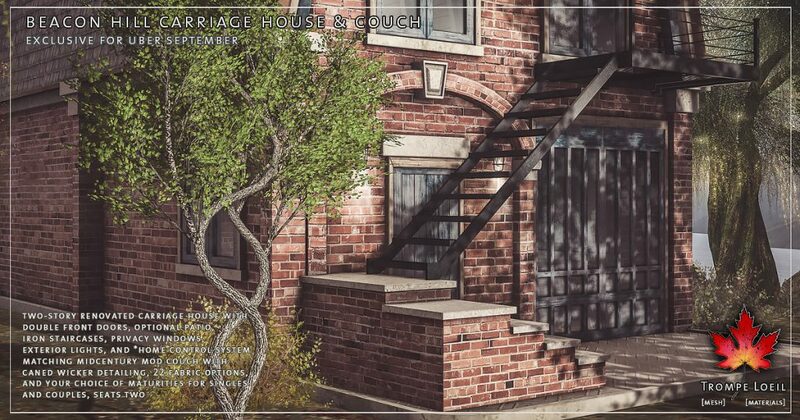 The Beacon Hill Carriage House is a two story brick renovation – old double carriage doors are now your entryway, and an adorable exterior elevated balcony and multi-level staircase arrangement will showcase your summer plants and favorite items. 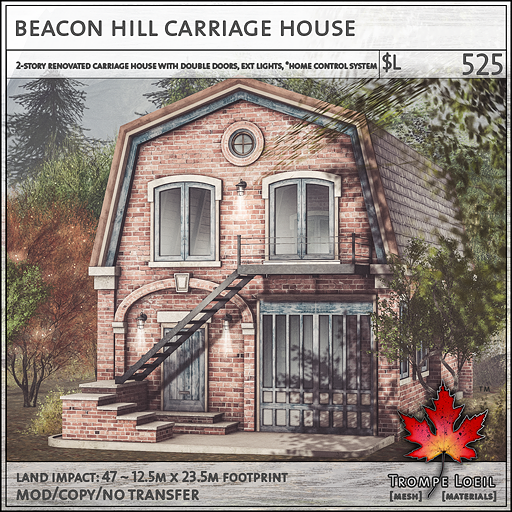 Inside, fill out the two open spaces upstairs and down, with worn natural wood plank floors and ceilings, and exposed brick walls. 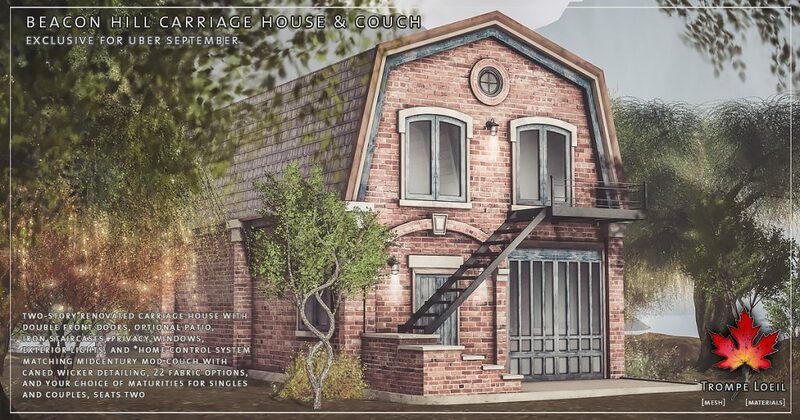 Privacy windows, exterior lights, our *home control system, and two models (with and without front patio) round out the features! 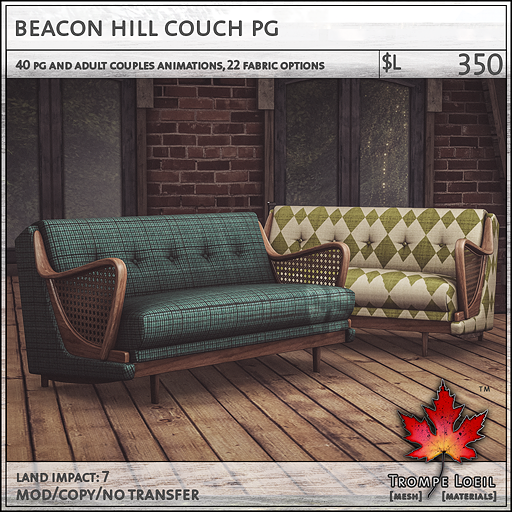 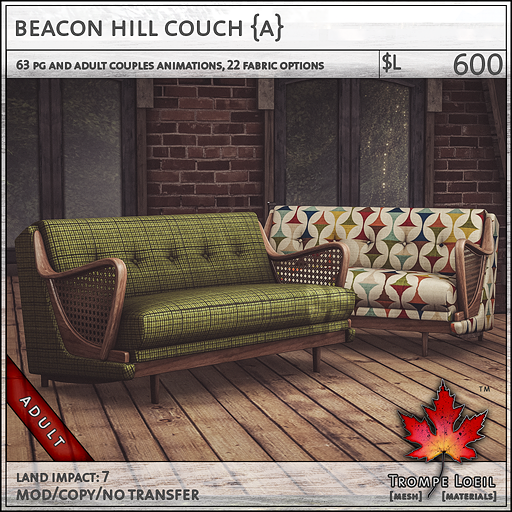 Plus, the matching Beacon Hill Couch is a fun vintage find, with caned wicker detailing and 22 fabric options – available in your choice of maturities for singles and couples! 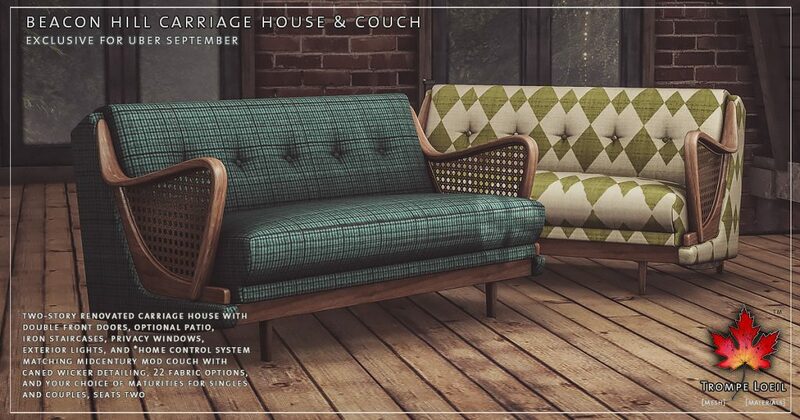 Only at Uber’s September round!